Is your garden over flowing with zucchini? 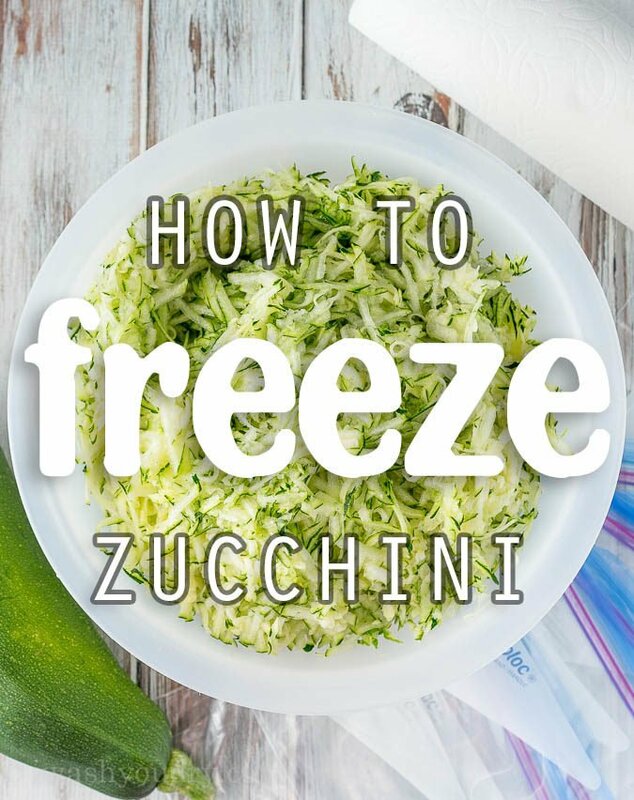 These helpful tips on How To Freeze Zucchini (plus 7 Ways to Use It) are just what you need! I’m not going to lie, I’m over the moon excited that all four of my zucchini plants decided to be HUGE and produce massive amounts of zucchini for me. I’ve tried to plant zucchini before in other states and countries with no success. But apparently here in Southern Utah, zucchini is almost a no-fail plant. Basically there is SO MUCH zucchini that goes around you can’t even give it away. I’m not giving mine away though. I’m freezing it for later on this year! It’s actually super easy to do too! 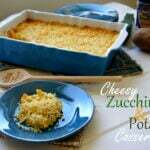 Simply grate your zucchini with a cheese grater on a medium grate. Not too small though or it can turn into a soupy mess. 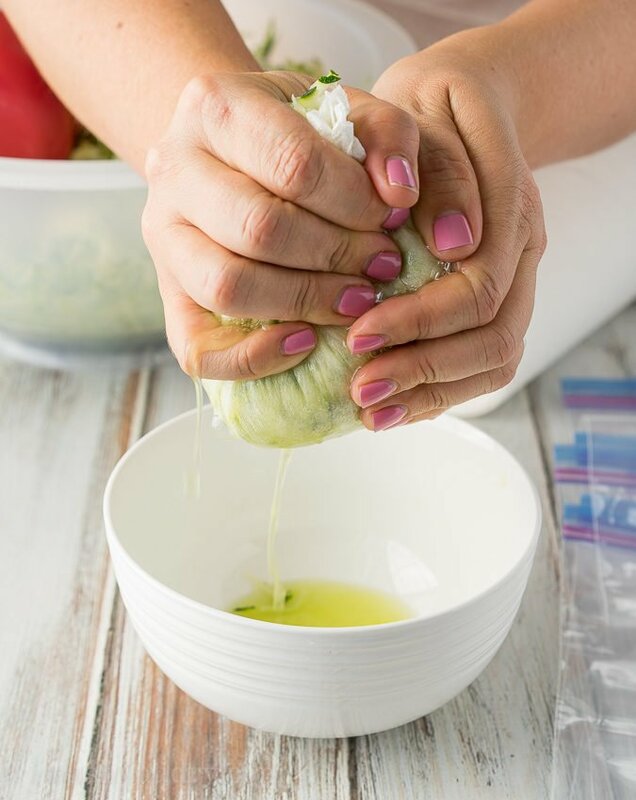 Portion out two cups of zucchini and place it in a bowl that’s lined with paper towels or cheesecloth, then just squeeze out as much liquid as you can. By squeezing out as much liquid now, you’ll have less of a mess later on when you try to use it in a recipe. I mean, really, the possibilities are endless! So go ahead zucchini fairy! Bring on the green goodness! 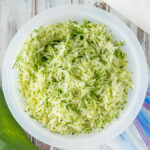 Wash and trim the ends of your zucchini. 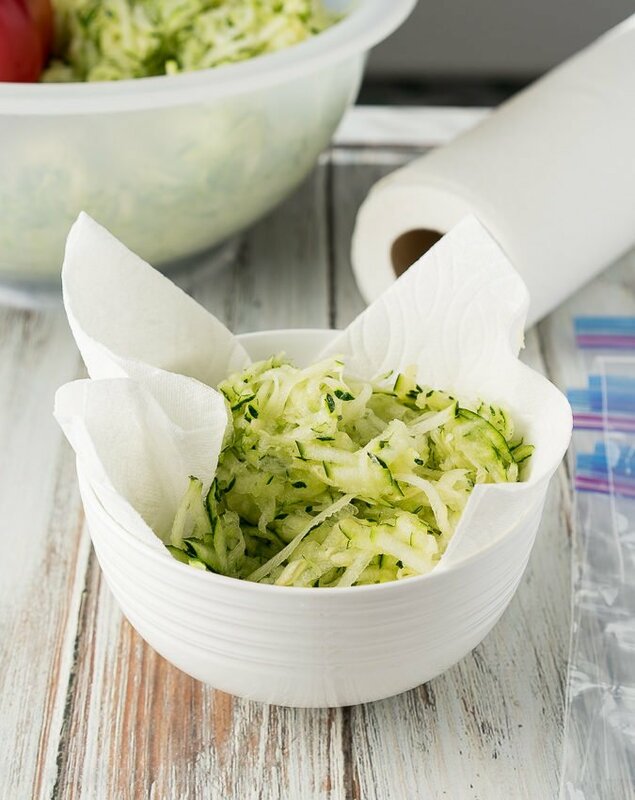 Use the medium grate to shred your zucchini. 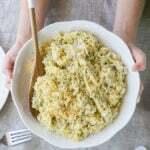 Line a bowl with a few sheets of paper towels or cheese cloth and scoop 2 cups of shredded zucchini into the bowl. Squeeze out as much of the water as you can. 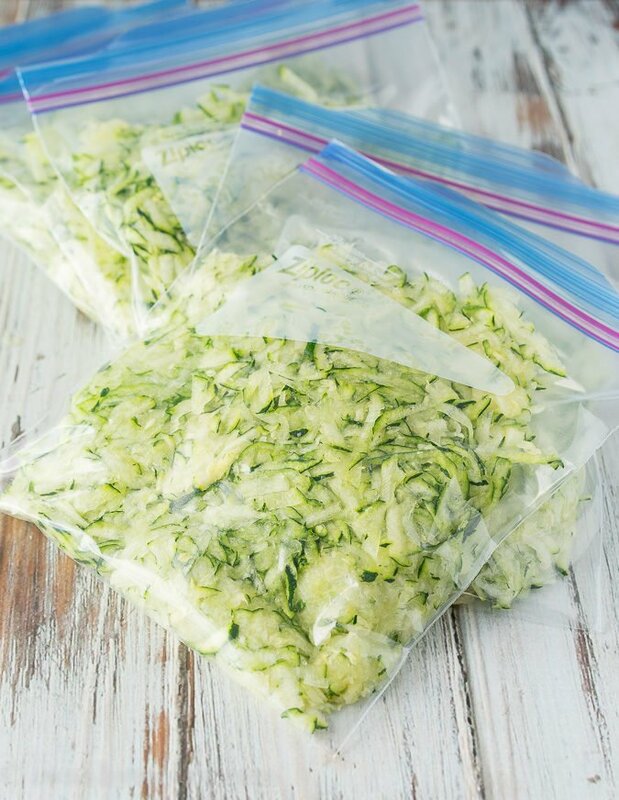 Place the zucchini in a zip close bag and spread out flat. Mark the date on the bags. Lay the bags flat in the freezer until frozen. 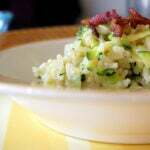 Remove the zucchini from the freezer and let defrost in the fridge. 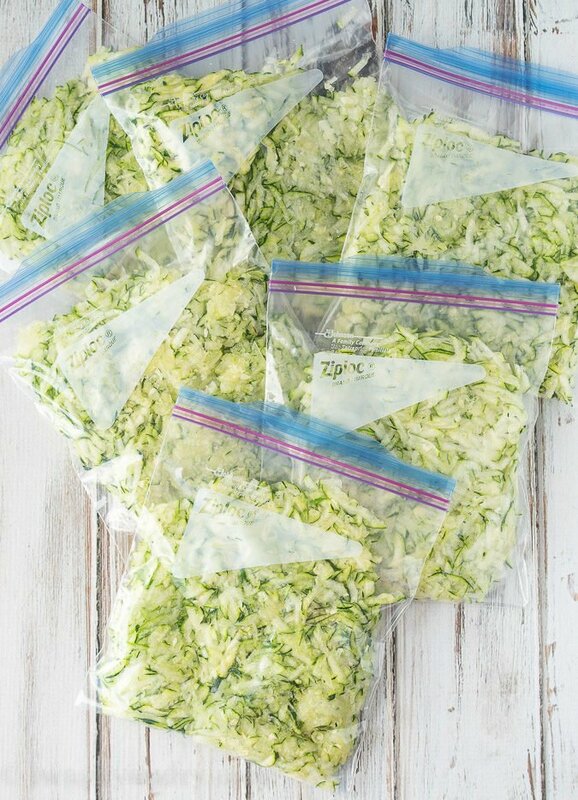 If needed more quickly submerge closed bag in a sink full of cool water until zucchini is defrosted. Squeeze out any excess water that may have accumulated and use in recipe as stated.